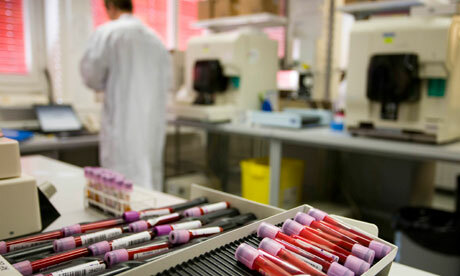 A leading provider of medical diagnostics and food safety testing in China, China Health Labs & Diagnostics has seen profits fall by 15% in the last nine months. However, China Health says it has made progress in installing its 'total lab solutions' and delivering its proprietary products to new provinces and regions in China and expects steady growth in the near future. Gross margins increased by 32% to $5.630 million and by 22% to $13.962 million for the three and nine months ended September 30, 2012, respectively, compared to the same period last year. Profit increased by 48% to $2.357 million and revenue decreased by 11% to $9.623 million for the three months ended September 30, 2012 compared to the same period last year. Profit decreased by 15% to $3.837 million and revenue increased by 1% to $25.867 million for the nine months ended September 30, 2012 compared to the same period last year. "The Company continued to show strong financial results and growth of its total lab solutions business into new provinces and regions in China. Since the beginning of 2012, the Company has installed or contracted its BK Clinlabs in six new provinces and regions, which shows significant progress of our marketing team as we were only in four provinces prior to 2012," said Wilson Yao, CEO of China Health. For the nine months ended September 30, 2012, the decrease in revenue for the point of care testing (POCT) products was offset by an increase in revenue of 25% for the large urban hospital and labs sector. Revenue from POCT solutions and products is generally from large sales orders that are not placed evenly throughout the year. The Company expects revenue from POCT solutions and products to increase in fiscal 2012, compared to 2011. In fiscal 2011, revenue from large urban hospitals decreased by 6%, compared to the overall growth in revenue of 35% in fiscal 2011. In fiscal 2012, the Company expects the large urban sector to grow due to expected increased sales in recurring revenue of reagents and consumables. Research and development ("R&D") expenditure for the three and nine months ended September 30, 2012 increased by 427% to $0.585 million and by 160% to $1.174 million, respectively, compared to the same periods last year. In March 2012, the Company launched four new products: Type C POCT Diagnostic Field Lab, Rural Emergency Rescue Medical Total Solution, BK Early Diagnosis System for Cardio-Cerebral Vascular Disease and BK Food Safety Rapid Test System. These new products were developed to meet specific medical diagnostic and food testing needs of customers and based on the Company's knowledge of Chinese government policy and budget priorities. The margins on new products launched are generally higher than the existing products. China Health says it is well positioned to expand its business for rural total lab solutions, POCT lab solutions and food safety lab solutions. However, the Company may need to access additional debt or equity funding if it seeks to accelerate its growth, if it enters into an agreement for a large number of total lab solutions or if it pursues suitable acquisition opportunities. The Company believes that for the fiscal year 2012 it can continue its strong growth in revenue and profits and build on the leading position it has established in China in providing total lab solutions for rural hospitals and clinics, POCT solutions for military and emergency services, and food safety lab solutions, based on the size and growth of the Chinese market for medical diagnostics and food safety, the government support for the market and the Company's proprietary products and services and customer relationships. In 2012, China Health intends to expand its business by focusing its efforts on expanding its sales network to additional Chinese provinces and cities in the areas where it has proprietary products and limited competition. Going forward, China Health expects revenue growth from its total lab solutions business lines to continue to be stronger than growth from its traditional business with large urban hospitals, and to comprise a higher percentage of revenue.